C – Miguel Amaya – It’s been a long standing code if you will that when choosing our UTR OAS kids, Jim and I lightly omit age as a factor. I say “lightly” because it’s not entirely true. Sure, we no longer follow players once they reach their 25th birthday, because anyone who’s still in HiA and 25 is probably destined for a career as organizational depth. However in the case of the Cubs Miguel Amaya, choosing him wasn’t based strictly on the fact that he batted a career high .256 with 21 doubles and 12 home runs in LoA South Bend last year. But that he did it as a 19 year old. His only real competition for this year’s OAS crown was Jhonny Pereda. The 6’1”- 170 lb. righty from Aragua hit .272, had eight home runs, walked 51 times (to 68 strikeouts) with HiA Myrtle Beach last year, as a 22-year-old. So, weighing it all out, going with the younger player at the higher age/level ‘standing’ is the way to go. Age does play a part in our rankings, even though pound-for-pound Amaya did have a better year when it comes to per-game production. Amaya will take his compact swing, gap power and plus defense to HiA Myrtle Beach on 2019. 1B – Jared Young – One word to describe the Cubs minor league first base depth would be ‘bare.” With 3-time All-Star, Silver Slugger Award winner and World Series champion Anthony Rizzo manning first, how can you complain though. The 29-year-old Rizzo is under contract through 2019 with 2020 and ‘21 team option years. One would think the Cubs would be smart to pick up his options with how skeltal the first base position is in the system. When I say bare/skeletal, however it doesn’t mean in talent. Chicago has some talented youngsters at first, but in regards to 2018 performance, Young took the OAS cake by a good margin. The Cubs drafted 6’2”- 185 lb. lefty in the 15th round out of Old Dominion University in 2017. He received a surprising assignment to straight to SS Eugene where he batted .257 with 8 extra-base hits, 11 walks and 23 runs scored in 39 games. Young played second base all through college and split time between the keystone and shortstop in his pro debut season. Last year, he started the year with LoA South Bend, and his power came to light. He complimented his .313 batting average and team leading 53 RBi, 10 home runs, hit 13 doubles and 6 triples. This was enough to earn him an July promotion to HiA Myrtle Beach in early July. he slowed down a bit, struck out more, walked less, but still posted a respectable .282 average. But it’s what Young did on the defensive side of the ball that might be his ultimate path through the high minors and possibly to the majors. Despite playing second base exclusively in college, Young has divided time between left field (21 gms), second base (33) and first (83), registering near league average fielding percentage at each position. This defensive versatility and solid bat skills could pay dividends as Young moves up the ranks. He could surprise. 2B – Rochest Cruz – One of my favorite parts of the game of baseball is the stolen base. No matter how badly a hitter is struggling at the plate, you can’t slump speed. Speed can turn a favorable pitcher situation into a hitter’s advantage, and speed can also make a good outfielder great. Thus is the reason for the inclusion of DSL Cubs1 prospect Rochest Cruz on this year’s OAS list. The 5’11’ rail thin 150 pounder began his career in the DSL in 2017. He batted .250 with only two extra base hits, 10 runs scored and six stolen bases in 22 games. Defensively he spend the majority of time at second base, but also saw time at shortstop, where in six games he committed four errors. This season for Cruz, it was like a switch went off. The Dominican Republic native not only led the DSL squad with 54 runs scored, 68 hits and a .420 on-base percentage, but also 56 stolen bases, which also ranked second in all the minors behind only Houston Astros prospect Myles Straw, who swiped 70 bags between Double-A Corpus Christi and Triple-A Fresno. On the defensive side though, Cruz still needs work. Sadly, without a true defensive home, his stolen base opportunities will be limited as he moves up the organizational ladder. So, he’s got speed to spare and great plate discipline, evident by his 57:37 BB:K ratio so far in his career, but offensively, he should spend the majority of his time at second base and could be the starter for either SS Eugene, or even see an ultra-aggressive assignment to LoA South Bend. 3B – Grant Fennell – In Jared Young’s bio above, we talked about how bare the first base cupboard was in the Cubs system. Well, third base may even be worse. Sure you could look at now 25-year-old 2014 – 16th rounder Jason Vosler and his 44 combined home runs over his last two seasons as the “future” if you will, but with 2015 Rookie of the Year, 2016 N.L. MVP. 2-time All-Star and 2016 World Series champion Kris Bryant poised to play all 2019 at 27-years-old, and not up for arbitration 3 & 4 until 2020 and ‘21 with free agency in 2022, the system’s third base ranks have time to develop. Power is the name of the game with third baseman and no one in the organization HiA down to the DSL hit more than eight home runs, and those belonged to 2017 – 8th round draft choice Austin Filiere, but for this year’s OAS, I hedged my bets with Grant Fennell, despite his lack of games there this season. A June 2018, un-drafted signee out of the University of Nevada-Reno, the 6’0”- 195 lb. San Diego native batted .325 with 110 runs scored, 106 RBi and posted a career .405 on-base percentage. Upon signing, the Cubs sent him to the AZL. He batted .355 with 14 extra-base hits, 19 RBi and 13 runs scored, and posted a non-surprising .417 on-base clip, before heading to SS Eugene in mid-July. With the Emeralds, the brakes were pumped a bit, however Fennell hit four of his five home runs on the season and batted .281 in 41 games. Fennell provided a nice season even though he’s older than the average for the levels he played in. Our hope is that someone will step up in 2019 and fill that top third base prospect slot as a top third baseman should. 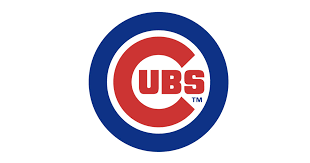 SS – Nico Hoerner – Despite the 14-game sample size that Cubs – 1st round draft choice Nico Hoerner provided in 2018, pound-for-pound, there wasn’t a better hitter at the shortstop position this year than Hoerner when it came to production per game. It’s always fun to look at a sample size and translate what a kid could have produced over a full season worth of play. So, let’s have some fun. The 6’1”- 200 pound Stanford draftee (per Baseball America) is projected to start for HiA Myrtle Beach this coming season. The Carolina League schedule is 139 games. If you take Hoerner’s 2018 numbers and project them inside a full-season league, he would bat .327 with 20 doubles, 20 triples, 20 home runs, 58 stolen bases, 87 walks to 40 strikeouts, 99 runs scored and 58 RBi. Now, I know that putting up these numbers over a full-season is hardly sustainable, but this is what level of production Hoerner is capable of. He’s the Cubs #1 prospect for a reason. He is an absolute must-add prospect in any and every fantasy league that allows minors to be stashed. LF – Nelson Velazquez – It’s a good thing the Cubs have lefty-slugger Kyle Schwarber, veteran Jason Heyward, super utility man Ian Happ and defensive star Albert Almora in under team control for the next three seasons, because folks, the outfield is a big work in progress, especially based upon 2018 statistics. I’m not saying the organization has no talent, but the talent they do have has a long way to go before it has any impact. The 6’0”- 190 lb. Velazquez saw two levels in 2018. He started with SS Eugene, and after 72 games, was sent packing to LoA South Bend. With the Emeralds, Velasquez led the team in several categories: hits (66), runs scored (35), doubles (18), home runs (11), RBi (33) and total bases (121). Once a member of the Silver Hawks, the only thing he hit was a wall, batting .188 with one double, seven walks and 43 strikeouts in his final 35 games of the season. I like Vasquez. He’s got huge raw power, bigger bat speed and good speed. He just has to stop pushing so hard and let his raw skills dictate his game. I’ll predict that the recently-turned 20-year-old will have a breakout season very soon and could rocket up prospect boards as a result. I could see him repeat LoA, but a fast start with great results could garner a quick hook to HiA Myrtle Beach. CF – Ricardo Verenzuela – We’re going deep here with our OAS center fielder selection. Could we have gone with another top prospect in Cole Roederer here, absolutely. The 2018 – 2nd round pick out of William S. Hart HS (CA) handled Arizona League pitching with ease as an 18-year-old posting a .275/.354/.465/.819 slash line along with five home runs, 14 stolen bases and 30 runs scored in 39 games. However, we love to see prospects show ample improvement from one season to another. Plus, our purpose here is to bring to light prospects who deserve attention who otherwise wouldn’t get it simply due to the presence of top round draft picks. The Cubs signed the 6’0”- 170 lb. Verenzuela in August 2016 and assigned him to open his pro career for the Dominican Summer League squad the following season. Things didn’t go so well, as he batted a paltry .188, logged seven extra base hits, scored 12 runs and struck out 63 times in 54 games. So, it was a no-brainer for the Cubs to have him repeat the level in 2018. The Venezuelan native more than made up for his debut season shortcomings, raising his batting average 72 points, stealing 39 bases, scoring 39 more runs, walking 37 times and cutting his strikeouts-per game nearly in half. I’d be surprised not to see Verenzuela in the AZL in 2019 or possibly with a well-earned promotion to SS Eugene. RF – Carlos Morfa – To conclude the Cubs OAS list, we are going way off the charts here. However, our selection of undrafted, free-agent signee Grant Fennell is pretty off-the-charts as well, but in 2018, August 2017 free agent addition Carlos Morfa fits the mold of what you want in a right from your right fielder. Power. The 6’2”- 170 lb. bashed 5 (team leading) home runs for the DSL Cubs2 squad and ranked second in slugging percentage (.419), but the more eye popping number was his 1:10 BB:K ratio. Morfa walked four times to 41 strikeouts in 31 games. Now, there’s no denying the kids power potential and it’s obvious the holes he has in his game. Because of his power, he posted a respectable per-game metric. So, it’s exciting to think about what more he could do if he turned several strikeouts into either another walk or a base hit. ** In looking back at past UTR-OAS rosters for the Cubs, I was shocked that none listed have established themselves in Chicago. The fact of the matter, the projected rotation in Chicago came via trades or free agency. In essence, the Cubs have done a horrible job in developing homegrown pitchers. Pitchers from last years list, Duncan Robinson, Michael Tucker, and Adbert Alzolay are slated to begin the year at Triple-A Iowa and doubtful whether they will see action in the Windy City in 2019. Past UTR-OAS Duane Underwood Jr. and Oscar De La Cruz are the closest, but most likely to be relegated for bullpen duty. So we begin another chapter of young arms to creep-up the ladder with Cory Abbott. The 2nd round pick in 2017 was strong across two levels in 2018. The addition of a slider late into his college career has been the difference, and its near a plus offering two seasons as a pro. ** Lange might have the best shot of getting to Chicago first from this roster. This will depend whether he can add velocity to his fastball, which took a step back (high 80’s) from the days where the gun reached the mid-90’s. After only 9.1 innings during his pro debut at short-season Eugene, the top round pick in 2017 racked up 120.1 innings at HiA Myrtle Beach in 2018. The slack of a quality fastball is remedied by his plus-plus curveball, reminesiant of a past Cub UTR-OAS pitcher Erick Leal. Prospect Digest’s Joseph Werner mentioned Lange looks like the second coming of Kyle Hendricks with his pinpoint control and outstanding off-speed stuff. ** Speaking of comps….what a great lead-in for Swarmer. Watching video of this kid will no doubt remind you of Bronson Arroyo with his high leg-kick. The 19th round pick in 2016 had a heck of season in 2018 with a 2.28 ERA and 59/7 K/BB ratio over 51.1 innings at HiA Myrtle Beach. He received a promotion to Tennessee in early June and continue to post decent numbers. He was named the Cubs Minor League Pitcher of the Year. Keep in mind, that the 6′ 5″ 175 lb right-hander was a bit long-in-the-tooth (24 years-old) while at Myrtle Beach, so the clock is ticking and Swarmer needs to keep rolling heading into 2019. Swarmer attacks hitters with not only his funky delivery, but a mid 90’s fastball (effective 4-seamer), a plus curveball, and wicked curveball. ** Thompson comes at hitters with the kitchen sink. I write a lot about pitchers with the 3-or-4 pitch mixes, but rarely about a kid that hurls 5 or 6 pitches. This 3rd round pick in 2017 is using that repertoire to fast-track his way through the Cubs system. Only getting 19 innings of work after the draft, Thompson has sped quickly to Double-A Tennessee in 2018. Keeping hitters off-balance is an understatement for the 6′ 0″ 193 lb with his fastball complements of a 4-seamer, 2-seamer, and cutter, along with the typical secondaries of curve, change, slider. The depth charts are jammed at the upper levels in the Cubs system, so 2019 could be interesting for Thompson. ** Miller had a breakout season where he led the Carolina League across multiple peripherals. The 4th round pick in 2016 threw 5+ innings in 22 of his 23 starts at Myrtle Beach. ** The 2018 “One to Watch” made the move to the bullpen in 2018 with decent results. This entry was posted in 2018, 2018 Post Season UTR Organization All-Stars, Hitters, Pitchers and tagged #Albert Almora, #Kyle Schwarber, Alex Lange, Anthony Rizzo, Austin Filiere, Brendan King, Carlos Morfa, Cole Roederer, Cory Abbott, Cruz, Grant Fennell, Ian Happ, Jared Young, Jason Heyward, Jason Vosler, Jhonny Pereda, Keegan Thompson, Kris Bryant, Manuel Rondon, Matt Swarmer, Miguel Amaya, Myles Straw, Nelson Velazquez, Nico Hoerner, Ricardo Verenzuela, Rochest, Tyson Miller, Wyatt Short. Bookmark the permalink.